The New Orleans Saints will march into Dallas this week to take on the Dallas Cowboys in a matchup where the latter is a heavy underdog. The Saints, led by Drew Brees, have railed off 10 straight wins and are widely considered the best team in the NFC. The Cowboys, however, are 6-5, a middle of the road team, but have shown signs of improvement in recent weeks. 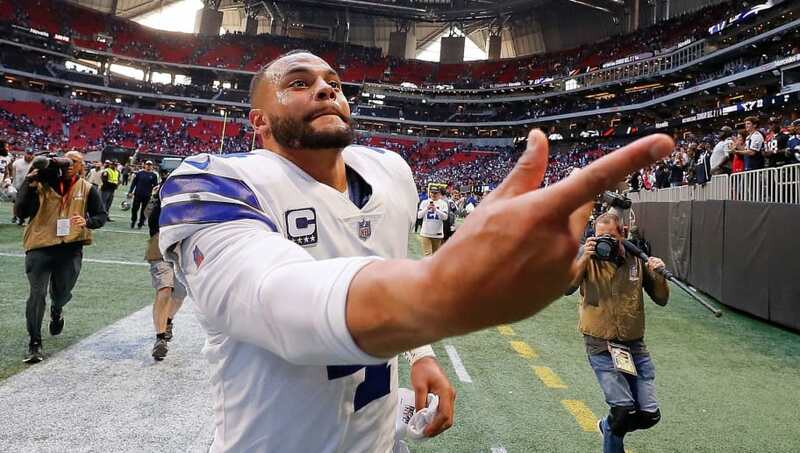 Despite the vast gap of quality between the two teams, Dallas quarterback Dak Prescott has made it clear his team fears no one. ​​“We’ve just got to go score. We’ve got to do what we do on offense,” Prescott said. “Obviously we have a lot of trust and faith in our defense, so it’s not, ‘Oh, we’ve got to go in there and do this to stop their offense.’"
So, let me get this straight. You don't think you need some sort of altered defensive scheme to stop the No. 1 scoring offense in the NFL? I don't care how good your defense has been, there's a 100 percent chance that you haven't played an offense as dynamic as the one featured by New Orleans. If you don't have a specialized game plan for them, you should be scared. Dak Prescott: "(I have) tons of family and friends that are big Saints fans. But now that I'm a Cowboy, they better not be Saints fans." Let's not completely write the Cowboys off, though. In addition to a pretty stellar defense (3rd in yards against), Dallas has improved their offense in recent weeks after acquiring wide receiver ​Amari Cooper from the Oakland Raiders. Their points per game average has raised from 19.3 over the first eight games to 26.7 over the last three. Their third down percentage has benefitted tremendously as well (33.3% to 50%). Dallas still deserves to be an underdog - and should definitely be scared - but to completely dismiss them would be a tad foolish. This one looks like it's going to be a battle.